Capture the last warm days on the beach—and cool nights by the fire—with a companionable cocktail that embraces September like no other. 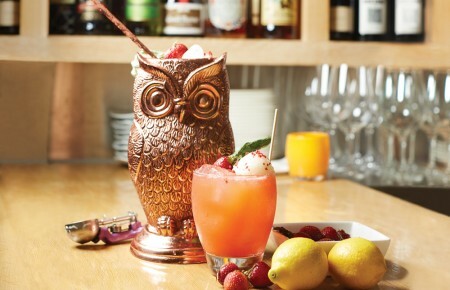 “I wanted to make something for the end of summer and early fall that had depth and was still refreshing,” said Derek Nielsen, beverage director of Swallow Restaurant. 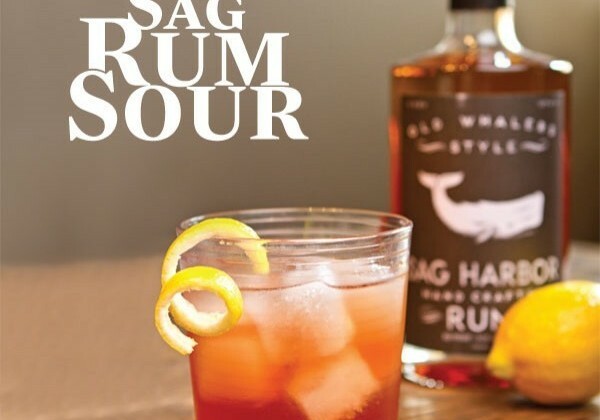 His rum sour combines subtle tropical and vanilla flavors with a faint hint of tea and floral notes, but the star of this cocktail is a new local standout: Sag Harbor Rum. Whaling ships traveling between the port town and the Caribbean stored the rum in barrels also used for coffee, spices and exotic fruit, giving the alcohol its spiced character. The new Sag Harbor Rum is based on these early recipes. 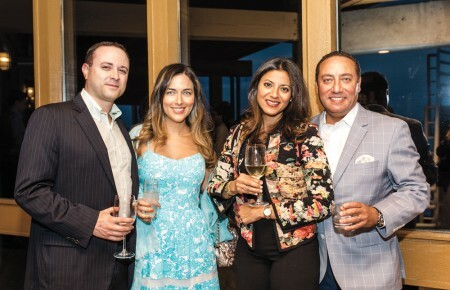 “I love the different aromas and flavor of this rum that makes it completely unique and very cocktail friendly,” Nielsen said. The drink is also a nod to the classic dark ‘n’ stormy, capturing the ginger spice without the fizz of beer. Nielsen adds hibiscus tea syrup for an even stronger scent of flowers and strawberries—that last whiff of summer. Fitting too, as whaling season traditionally began at the start of fall. In a cocktail shaker smash ginger with a muddler. Add all liquids together with ice and shake for 10 seconds. Strain over fresh ice in a rocks glass and garnish with a lemon twist. Boil the water, add sugar and stir until dissolved. Remove from heat and add the tea and flowers. Steep overnight and strain in a mason jar the following day.